Back in April it was announced that Diane Kruger was going to be the face for Chanel’s cosmetics campaign. The success of the campaign can be seen here with images captured by Peter Lindbergh, seeing the German actress looking very elegant posing against a beach backdrop. Chanel’s Resynchronizing Collection features the Le Jour de Chanel, La Nuit de Chanel and Le Weekend de Chanel creams, which are all made to re-energize the skin – and who would disagree when Diane looks so refreshed here? Le Jour De Chanel Morning Reactivating Face Care promises to reactivate and strengthen skin using a combination of jasmine extract and salicylic acid. Your complexion will appear smooth and radiant, and ready to face the day. 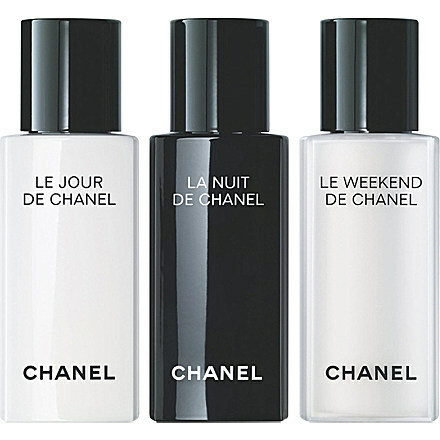 La Nuit De Chanel Evening Recharging Face Care is designed to repair and recharge once the sun goes down. Frankincense extract from the resin of the Boswellia serrata tree soothes the skin, while hyaluronic acid provides a plumping effect. Your complexion will appear supple upon awakening, with no signs of dullness. You can buy Chanel’s Resynchronizing Collection from Nordstrom, Harrods or Selfridges.